Psst God…It’s Me…Is That You? I know I’m not alone with having “the voice.” In fact, everyone seems to have the same annoying, nagging, relentless voice that provides constant background chatter. There was one time, however, when God did let me know that he was there. It happened about 18 years ago as I was trying to go to sleep one night. I was in the la-la state of not yet asleep yet but not really awake either. In scientific terms it’s called the theta state. It is when our senses are withdrawn from the external world and focused on signals originating from within. This is exactly what happened to me one night. I got a message from within. It was late in the evening, around 10:30 or so and I was just beginning to doze off when sparkler type lights flashed in my eyelids causing me to become conscious and alert but I didn’t open my eyes. Immediately, I heard an actual voice in my head (yes, it was a real voice, male to be exact) say, “You have more work to do before you write.” I shot up in bed with my heart pounding. I blurted out a few choice words not suitable for print. That experienced has stayed with me and has been a driving force as I have pursued discovering my life’s purpose. I’m not sure if I have ever really figured out what was meant by the “work.” Over the past 18 years I’ve worked on a number of things in my life, i.e. my marriage and other family relationships, personal and spiritual growth, physical and emotional healing, just to name the big ones. I’ve published a book and now I’m off writing a blog and working on another book or two. Over time I have come to realize a couple of things since that experience. One, everyday people can hear voices in their head and not be crazy. And two, messages and guidance can come out of the blue when you’re not expecting them. If God were to speak to you and say, “You have more work to do before you_____. How would you fill in that blank? What is your work? 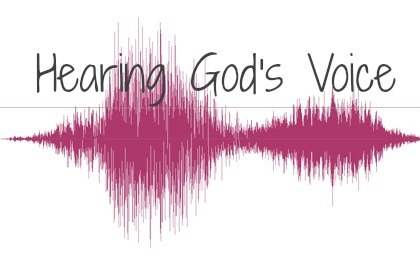 Are you taking time out to hear God’s voice? My advice. Be ready! God just might speak to you sometime when you least expect it.